HÀ NỘI Sustainable development and climate change adaptation took the forefront yesterday as Netherlands Prime Minister Mark Rutte sat down with local media as part of his trip to Việt Nam. The Dutch PM said that his country had learnt to work with nature instead of against it, and the insights it had gained from having a large area of land lying below sea level could be applicable to the sinking situation in Việt Nam’s 20-million-strong Mekong Delta. “About governance, it’s not difficult to make a plan. The question is how to implement it, how to make sure that local communities buy into it,” he said, adding that the top-down approach didn’t work in Netherlands. Responding to a Vietnam News Agency question, the Dutch PM said air pollution was still a big issue in his country although not as bad as in developing regions. He said the country was planning to close down coal-fired power stations by 2030, but it still needs to ensure stable supply during the transition which involves “a whole spectrum” of renewables, including offshore wind, solar energy or geothermal energy. “[The process] takes time, it takes money, and you want to get people the absolute guarantee that they can still live their lives while the transition happens,” Mark Rutte said. The Dutch Government leader expressed pleasure visiting Việt Nam for the second time after his first trip to the country four years ago. 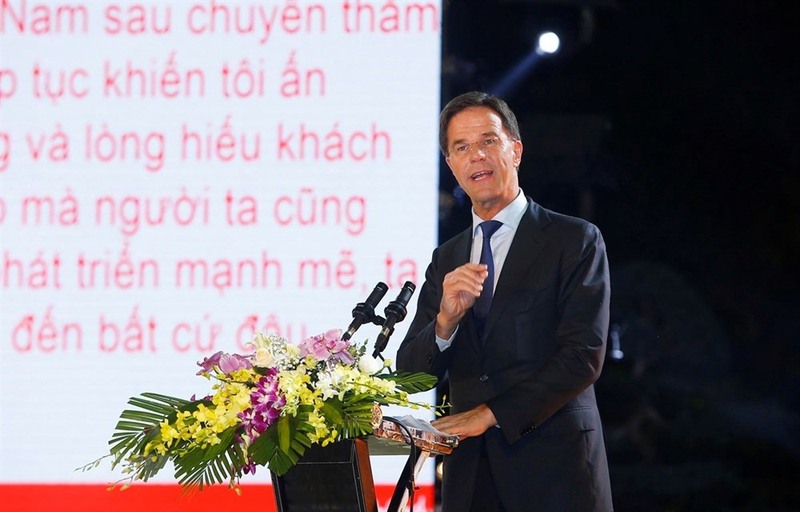 “The vibrancy, the level of the economy is all commendable and I’m really impressed,” Dutch PM said, adding that he still find Vietnamese people very nice and hardworking. The Dutch PM expressed great regret missing out on the chance to visit more of Việt Nam, especially Prime Minister Nguyễn Xuân Phúc’s home province of Quảng Nam, having to cut short his trip to Việt Nam from three to just one day because he is due in Brussels to discuss Brexit the next day. However, his trade mission – including 70 Dutch companies – will still be in Việt Nam for the full three days and ready to close a plethora of contracts on agriculture, water management, offshore wind energy and logistics. He said he had a fantastic day, building up a “genuine bond” with the Vietnamese PM and promoting bilateral relations.